Visiting my grandmother in the south when I was growing up, one of the highlights was her homemade pimento cheese. Born and raised in south Georgia, she was a frugal and organized homemaker. 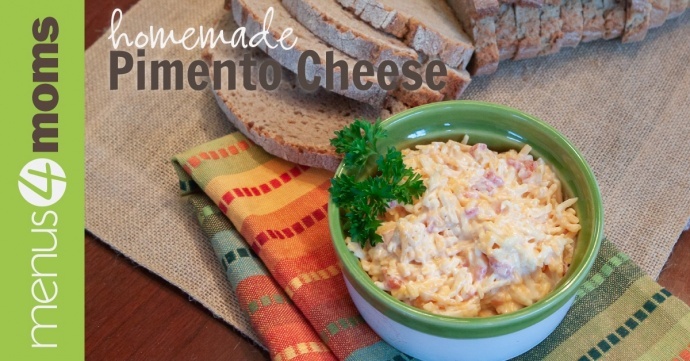 She made pretty much everything from scratch, but pimento cheese in particular is famous for its Georgia roots, and one does not just purchase pimento cheese from the grocery store in the pimento pepper capital of the world. By the time I was visiting her, she lived in Alabama, but I could still count on pimento cheese from scratch. She had a round metal grater that produced finely grated cheddar cheese onto a large piece of wax paper. When a heaping mound of freshly grated cheese was ready, she combined it in a bowl with mayonnaise until it was a creamy consistency. A small jar of diced pimentos, a Georgia staple, was drained and added to the bowl. A dash of ground cayenne pepper for bite and a little salt and pepper was all the seasoning needed. 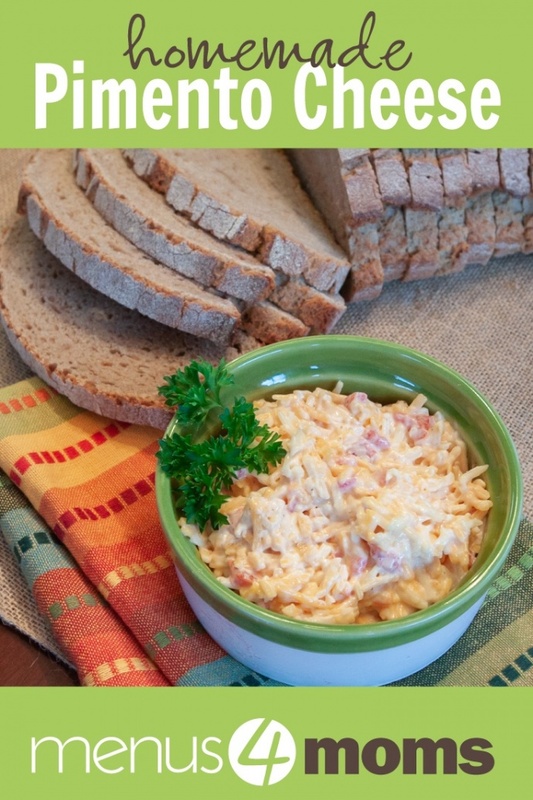 My grandmother always served her pimento cheese cold, either with Ritz crackers or on a sandwich. I diverge from her in that regard—I love a snack of pimento cheese right out of the refrigerator as much as the next person, but what is truly delectable is melted pimento cheese on a slice of toasted hearty bread. I like to toast the bread first to give it a little more strength to hold up the mounds of gooey melted cheese, then add the pimento cheese and put it back under the broiler for just long enough to melt the cheese. 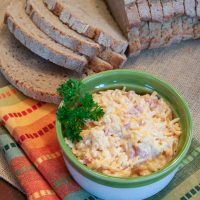 No matter how you like to eat it, homemade pimento cheese is super easy to make and tastes better than store-bought. Serve cold with crackers or as a sandwich, or serve melted on toasted hearty bread slices for a delectable meal. In a medium size bowl, mix the cheeses and the mayonnaise until well blended. Add additional mayonnaise as needed for a creamy consistency. Add the diced pimentos and mix well. Season with ground cayenne pepper, salt, and black pepper to taste. Refrigerate leftovers. Mary Ann Kelley has been creating meal plans online for over 15 years, first as part of TheHomeSchoolMom's cooking resources for busy moms and later on Menus4Moms, which has been highlighted by "Diner's Journal," The New York Times' Blog on Dining Out, and PBS Parents' "Kitchen Explorer." Mary Ann loves cooking and she loves planning/organizing, so meal planning is a natural intersection of the two. She believes her mission for the meal plans is being fulfilled when visitors let her know that she has helped them save time and money by teaching them to plan ahead and become more efficient in the kitchen. When Mary Ann is not cooking or publishing, she enjoys reading, researching genealogy, and traveling.